The annual Burning Man event in the Nevada Desert is August 25 -September 1, 2014. Burning Man is a large gathering of people seeking personal expression in a temporary city featuring, art and musical exhibits. 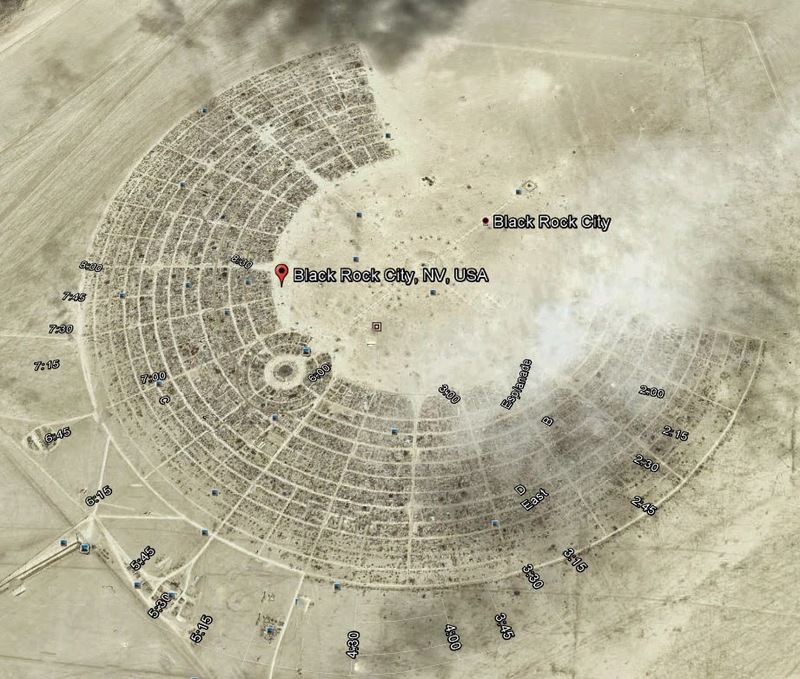 The temporary city, Black Rock City (BRC), is sited in an alkali flat 124 miles north of Reno on Highway 447. Traffic in an out of BRC is always a problem for the 50,000 plus participants, so steps have been taken to minimize congestion. BRC has its own airport, ride sharing is encouraged, and a shuttle service is provided from San Francisco and Reno. BRC is a completely structured "city" with a well-designated dirt road system. Camping and parking sites are all marked out for participants to pitch a tent or park a motor home for the week long celebration of free expression. Bicycles and golf carts are popular modes of transportation within BRC. By the end of the week, everything on the alkali flat, or "playa" is covered in a thick coating of alkali dust. 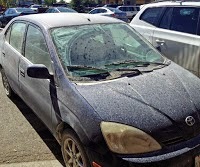 Watch for wacky vehicles and white dust covered vehicles passing through town or on Hwy. 80 as Burning Man comes to a close on September 1. Black Rock City road system.